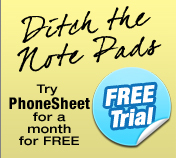 PhoneSheet provides a data-secure, Web 2.0, online, telephone message pad for busy individuals looking to easily track, store, and sort phone call history and contacts. 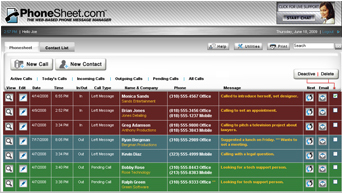 Once entered into the spreadsheet-style application, calls and messages are displayed as a color-coded overview — allowing for instant sorting of (i) calls that need to be made, (ii) calls that have already been made, and (iii) new messages received. 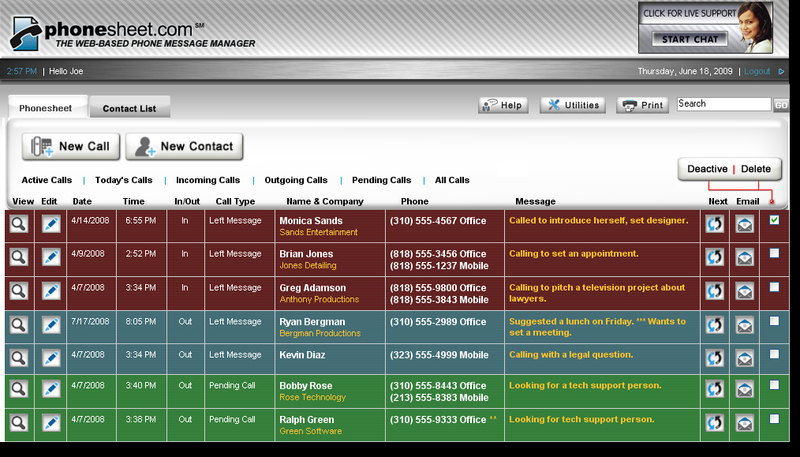 PhoneSheet's "virtual phone message pad" securely records contact information and archives phone messages, creating a personal, online phonebook for each user. 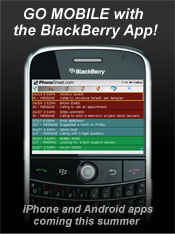 Your personal PhoneSheet will be available to you and your partners 24-hours from your web browser, mobile browser or the BlackBerry app.